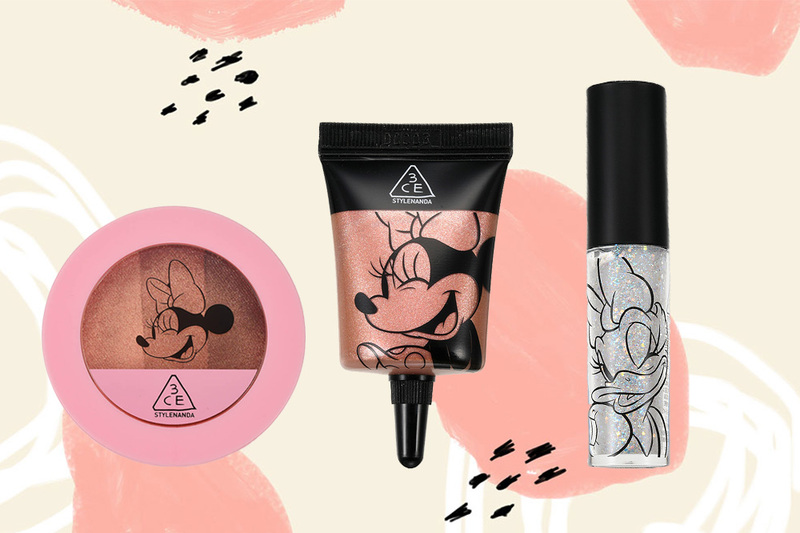 From ColourPop’s Disney Villains collection to UStar’s Little Mermaid makeup, it seems the beauty industry is having a Disney revival at the moment. 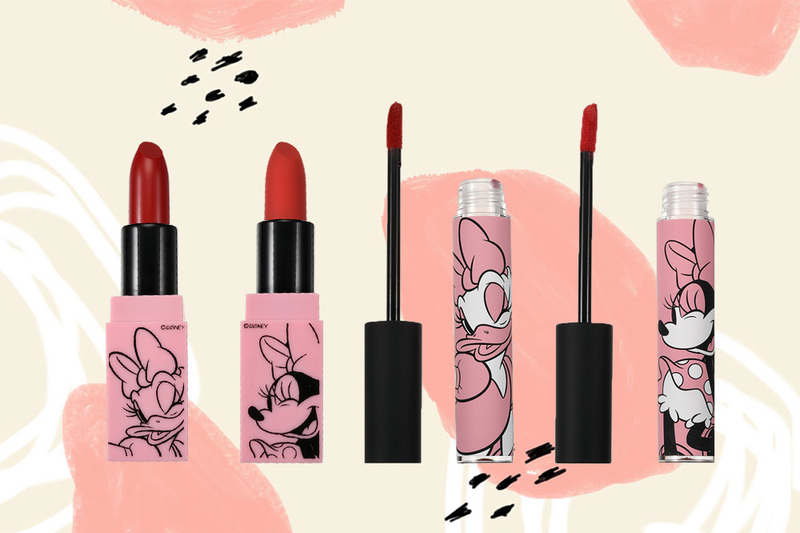 This time, one of our favourite Korean cosmetic brands, 3CE, is teaming up with the studio to honour two iconic ladies: Minnie Mouse and Daisy Duck. 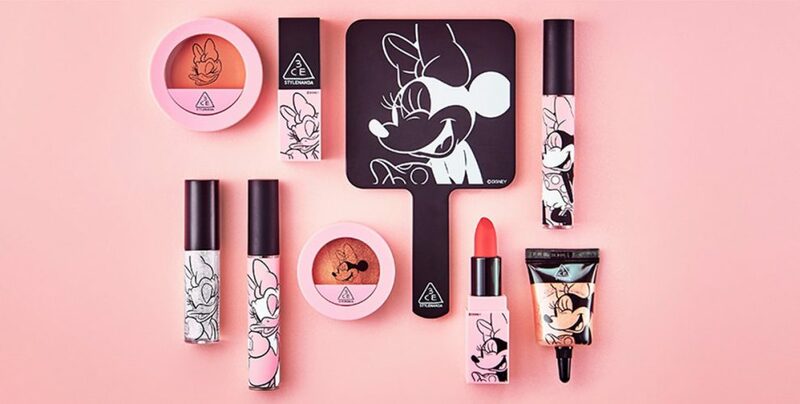 The collection is set to launch on 23 April at 9am (Singapore time) on Japan’s Disney Store, so expect eyeshadows, lipsticks and accessories coming your way. With Minnie’s signature polka dots and Daisy’s lilac ensemble, we expected the packaging to be a fusion of the two traits, but the chic black and millennial pink combination proved to be even better. Have a look at all the items we’re coveting. There are 3 eye makeup products in different textures, shades and finishes in the collection. A 3CE bestseller, the Triple Shadow now comes in Swoon Minnie, 3 brown neutrals that are easy for everyday wear. There’s also a liquid eyeshadow that’s sweat- and sebum-proof, so this rose gold glimmer will last a long while in our humidity. If your look calls for extra sprinkles of glitter, the silver Eye Switch will add a holographic shimmer to your eyes. Layer it on top of any eyeshadow or wear it alone. Tinge your lips red and rose with 2 creamy, matte lipsticks. Pigmented and long-lasting, these lippies will brighten up any complexion instantly with their flattering undertones. You can create a Korean gradient lip with these by applying the colour to the centre of your lips and blending it outwards. The collection also has 2 liquid lipsticks that tint your lips red or pink. Both melt comfortably on the lips and settle to a matte finish. Apart from makeup, the collection has also furnished us with accessories like a small hand mirror, a cosmetics pouch and a tote bag, all in Minnie and Daisy designs. 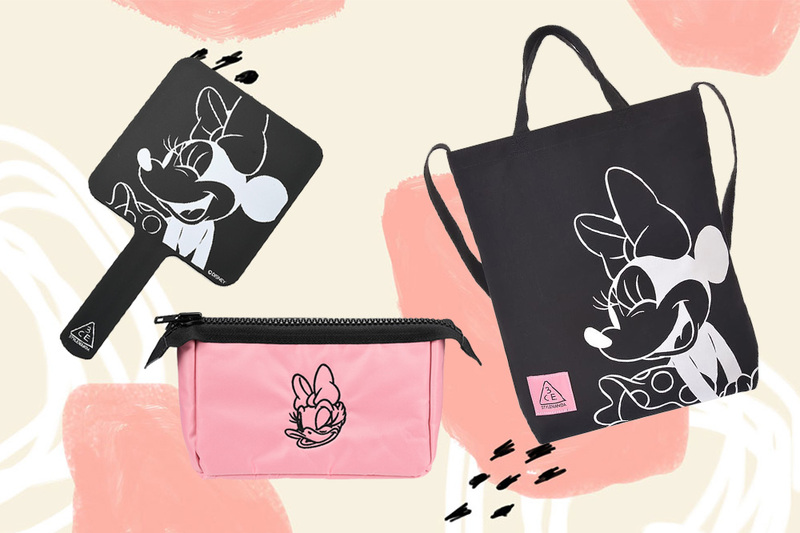 The Disney x 3CE collection launches on 23 April at 9am (Singapore time) on Japan’s Disney Store, so get your credit card and a parcel-forwarding service ready!